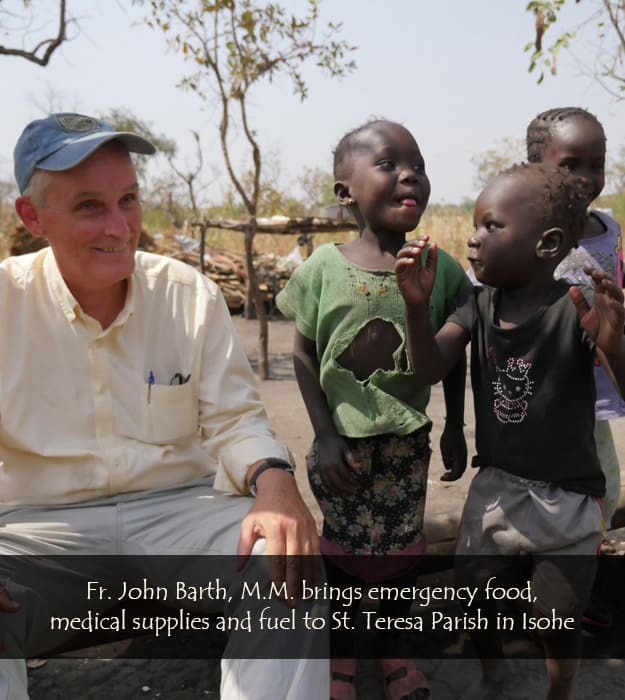 When children and families are in crisis—whether from sickness, hunger, civil war, or abuse—the Maryknoll Fathers and Brothers respond with missions of hope. Against a backdrop of despair, our missioners bring HOPE! Civil war and severe drought are causing untold suffering in South Sudan. At Isohe’s St. Teresa Parish, Father John Barth, M.M. brings in emergency food and medical supplies as well as fuel. To keep kids in school, he covers their school fees. Then to care for Isohe’s refugees in Uganda, he travels each week to Palabek Settlement Camp to witness the compassion of Our Lord all over again. 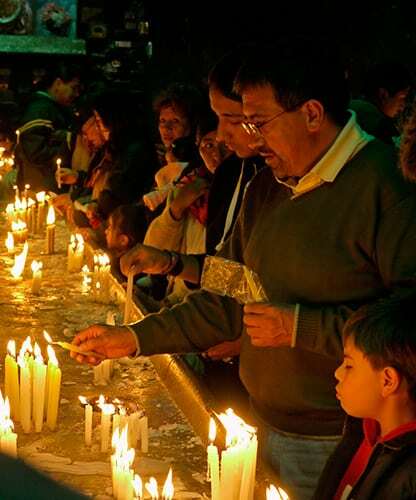 In Taiwan, the missioner with a dozen hats, Father Joyalito Tajonera, M.M. runs a vocational training program for migrant workers. Classes include computer skills and repair, hospitality management, and massage therapy. Father Joyalito also advocates for migrant workers who are abused or exploited, and he provides housing for those in need. As their pastor, Father Joyalito welcomes everyone into parish life through Mass and the sacraments. 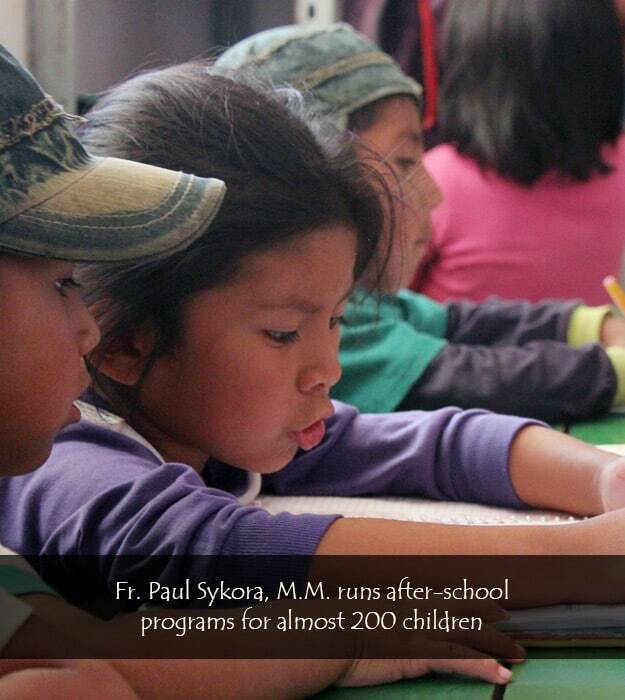 In the poorest areas of Cochabamba, Bolivia, Father Paul Sykora, M.M runs three after-school programs for almost 200 kids who are struggling with their studies because they don’t know Spanish well. They are children of migrants from rural areas where Spanish is not spoken. Father Paul makes sure the kids build up their proficiency so they can be the best students possible—and even interpret for their hard-working parents. Our formation programs are developing frontline mission leaders and deacons in the U.S. who want to build bridges with the poor of the developing world. 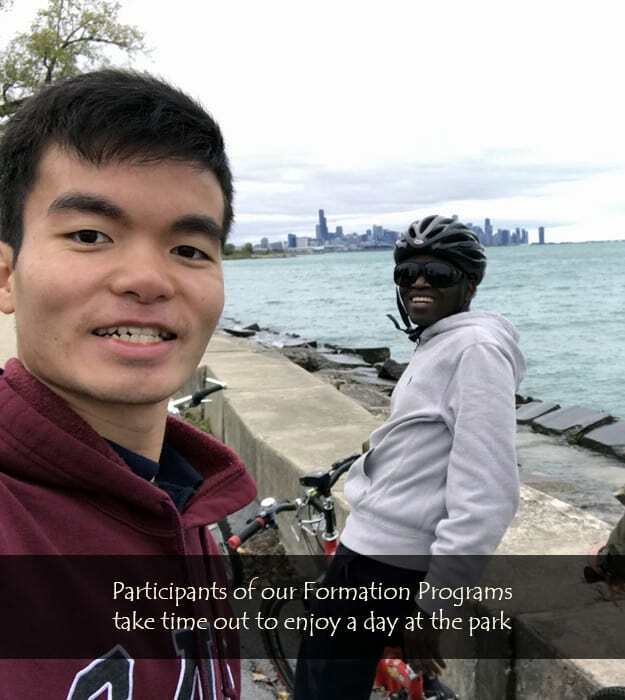 Our short-term immersion trips are giving the faithful a chance to go to mission and serve the Gospel. And our resources for teachers are bringing mission into the classroom. Help us witness the compassion of Our Lord by example so the Catholic Church will always be a beacon of hope for the poor and oppressed. and utter every kind of evil against you [falsely] because of me. You can make sure that tomorrow is filled with promise for the world’s poorest. Join US and with your gift to Maryknoll, we can be witnesses to Christ’s love and our commitment as Catholics to social and economic justice, especially in the developing world.